Death Metal doesn’t have to be just depressing. An energetic assault of guitars and synths. What I know is that there are a lot of bands named Parasite, seriously. However, Germany’s PARASITE INC. has that little “Inc.” at the end to set themselves apart. Oh, and their music is notably better than most of those unincorporated posers. 2018 album ‘Dead and Alive‘ is killer Modern Melodic Death. For fans of CHILDREN OF BODOM, the similarities instantly leap out from the opener “Once and for All“. Mixing Deathly growls into a bottomless guitar assault and 80s keyboard enhanced melodies played at Thrash shifting tempos. It’s still Death, but decidedly more toe-tapping accessible. You can almost hum these tunes…almost. Kai Bigler’s vocals never leave the gutter, yet the Pop-ish Modern dive of “Fall of the Idealist” offers a wonderfully playful chorus on top of those epic blasts and razor synths. Most of these songs stay the Thrash ear-bleed course, with down-shifted breaks slipped in from time to time to relieve the headbang. Yet, standouts like “Red Wine Collider” and “Sunset Overdrive” truly elevate with melody and variety applied in balanced measure. 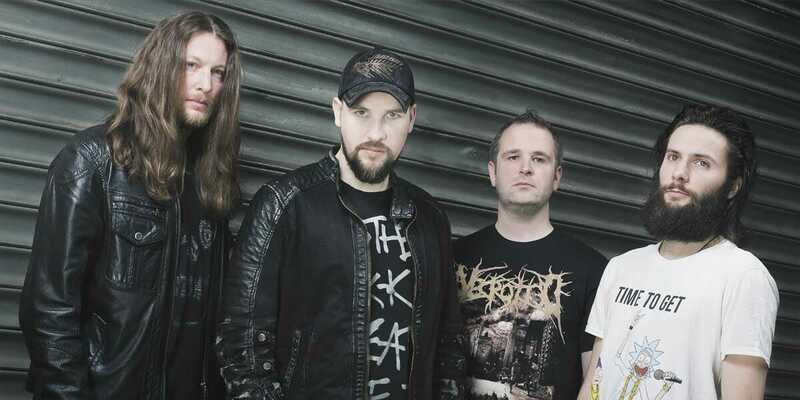 Guitar peel is another thing these guys have in common with BODOM. PARASITE INC. hasn’t forgotten, like so many of their contemporaries, the power of shred or the need for melodic hooks. Appropriately, we close celebrating 80s synth pop with a scorching cover of SCANDROID’s “Empty Streets“. It’s unfortunate that more Death bands don’t embrace the 80s. 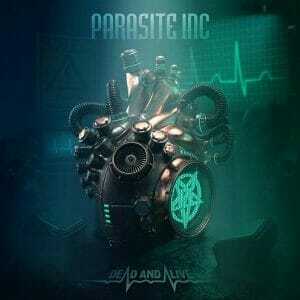 As it allows PARASITE INC’s ‘Dead and Alive‘ to shine brightly in a swirl of hooks, axes, synths, and beats that gets the blood pumping and the knees bouncing. One of the better examples of Modern Melodic Death. A balance of shred, band, and bottomless hooks that remains accessible throughout the rapid-fire assault.